ATTENTION: during the holiday season our restaurant opening hours are different. Click here for details. 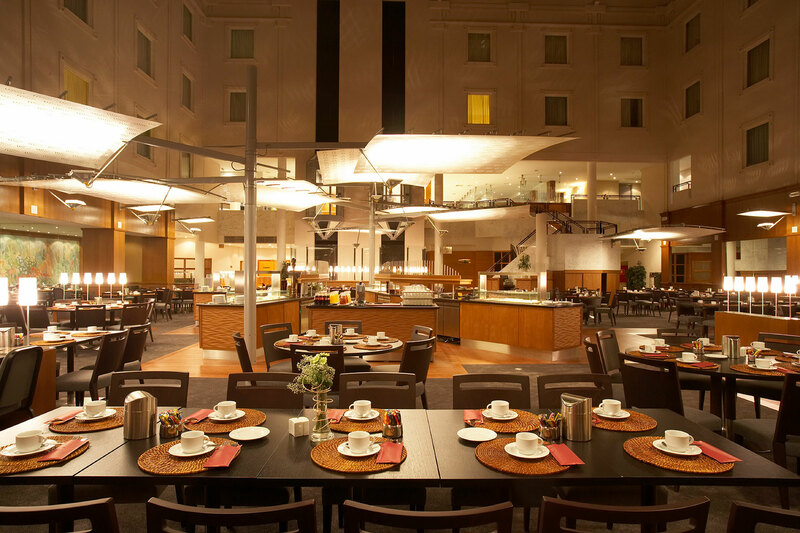 Our Atrium restaurant presents a hot buffet breakfast and a selection of snacks. 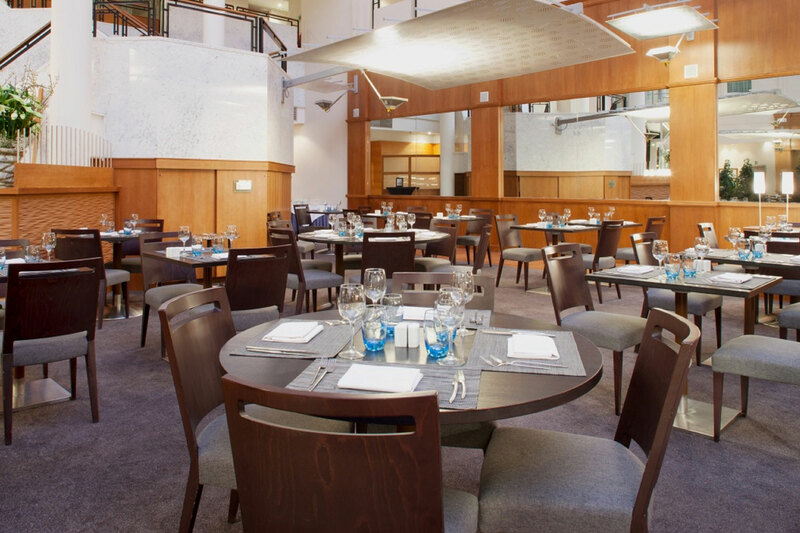 On weekdays, lunch and dinner can be ordered from our à la carte menu. A selection of fine wines can be ordered from the wine menu. Room service is available from 6.30am till 11pm. Our extensive buffet includes a variety of bread and rolls, ham, cheese, cereals, fruit salad, fresh fruit, yogurt, freshly cooked hot delicacies (bacon, sausages, scrambled eggs and mushrooms), warm tomatoes, boiled eggs, coffee, tea, hot chocolate, fresh orange juice and local produce. Breakfast costs €17,50 per person and is served from 6.30am till 10.30 am. Click here to view our lunch suggestions. Click here to view our starters. Click here to view our pastas and salads. Click here to view our main dishes and our side dishes. Here you can find our desserts. Would you like a two-, three- or four-course menu? The choice is yours! Our summer menus are available from 1 April till 30 September and our winter menus from 1 October till 31 March. These menus are available as from 15 persons. For information and/or reservation call +32 (0)9 220 24 24, reservation is required. From classic buffets to gastronomic buffets. A large range of buffets is available. More information can be obtained here or by email banqueting@higentexpo.com. Enjoy delicious coffees and tasteful wines, Champagne and cocktails in our Figaro hotel bar. Open on weekdays until 5pm. On Friday, Saturday and Sunday open until midnight. Enjoy a drink amongst friends or colleagues in our cosy Lounge Bar. Open from Monday to Thursday, from 5pm until midnight. 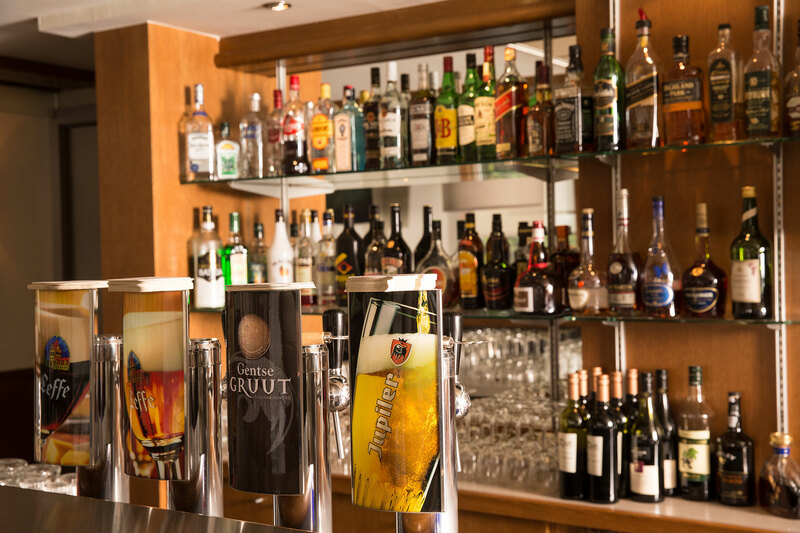 Click here to view our bar menu.